Why does it take so long for oil paint to dry on canvas, days? Why does it take oil base paint so long to dry (days)? Oils don't "dry" like something that is wet with water, and the water evaporates. Oils dry through a chemical process when exposed to oxygen. "When exposed to air, oils do not undergo the same evaporative process that water does. Instead, they polymerise into a dry semisolid. This rate of process can be very slow, depending on the oil." Now understanding this, there are some things that can be done to help speed things up. Paint in thin lay­ers, glazes. These usually dry fairly quickly. Really thick impasto passages can take months to fully dry! Some colors dry much slower, tita­nium white and ivory black, so switching up to lead white and burnt umber mixed with prussian blue for your black will speed things up. 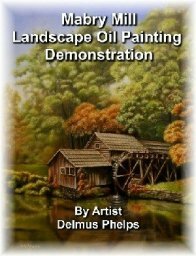 Paints ground in lin­seed oil dry faster than paints made with slow-drying oils like saf­flower and poppy. Wal­nut oil dries in-between in speed. 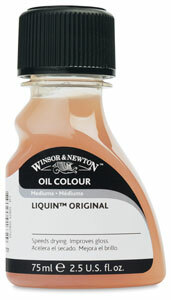 You can use a medium such as Liquin, Cobalt Driers, or Maroger’s. Tur­pen­tine and oil of spike can be used to speed up drying. The blessing of oils is that it is slower in drying. This allows the artist time to blend the paint to such a point the you cannot see where the merge takes place, you only note the change from a distance. This allowed for some very lifelike shadows and half shadows, which in turn allows for a more realistic picture. The bane of slow drying oils, you simply have to wait. Now, here's the stuff I use to get oils to dry overnight! No messin about!